With over 2 decades of experience in high-end chauffeur transport management service, DC Chauffeur Drive’s competence is matched only by the elegance of our luxury vehicles. 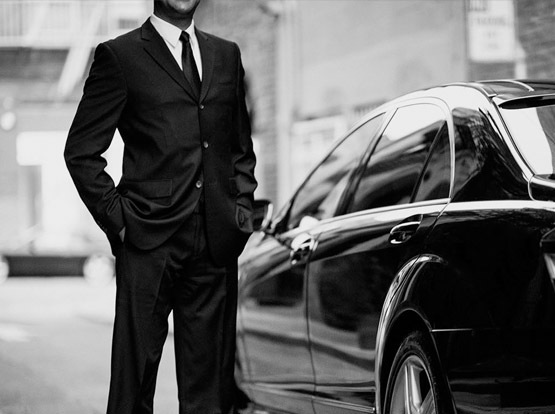 DC Chauffeur Drive, through our extensive experience in the high-end of chauffeur transport services over 23 years, can manage all your transportation management requirements. For large conferences, concerts or meetings, our expertly-trained staff of chauffeurs and travel coordinators can manage your car or coach requirements. We will liaise with your clients and arrange to “Meet and Greet” them at their airport, hotel, conference centre or company headquarters. For golf outings or incentive trips we can advise and organize all your transportation requirements anywhere within the country. We have the transportation frameworks in place to handle the requirements of groups of all sizes, from individual executives traveling for meetings, to large groups traveling en-masse to or from an event. Our expert staff manages a large fleet of the highest-quality vehicles available anywhere in Ireland and throughout the world via our fully-vetted affiliates. We can offer luxury sedans/saloons, luxury people carriers, luxury mid-size coaches, luxury full-size coaches and luxury 4x4s so every need can be met in full – for groups all sizes, from individuals to large groups.